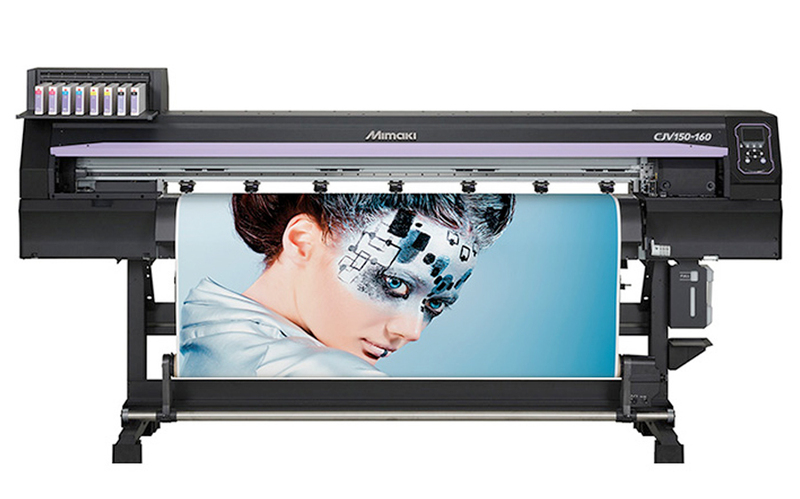 CJV150 Series integrated printer/cutter from Mimaki provides high performance, creativity and versatility with vibrant ink types, including new Silver, Orange and Light Black, in a cost effective package for signmakers, display graphics professionals and printshops. 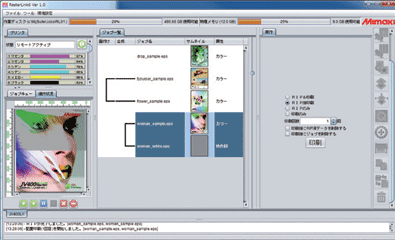 Utilises two cartridges per colour in 4-colour mode. When one cartridge runs out of ink the system switches automatically to the second cartridge of the same colour, enabling long unattended printing. 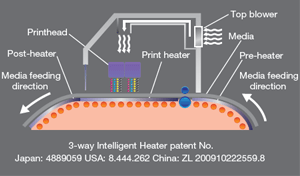 A 3-way intelligent heater fi xes droplets placed on media. 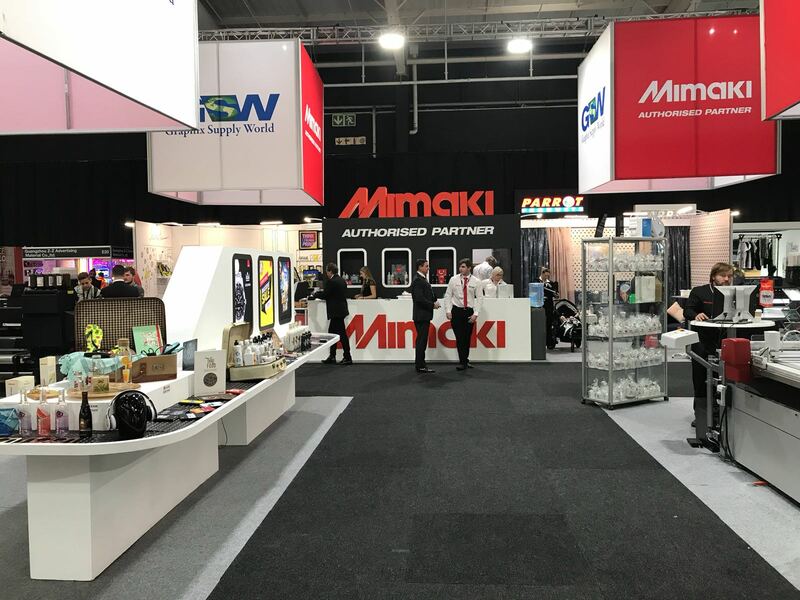 By using Mimaki’s original technology in heating the media at a controlled temperature, ink can be fi xed while maintaining high colour development and high image quality. Thus the CJV150 provides both steady colour development and easy handling after printing. Pre-heater: Heats media to the optimum temperature before printing. 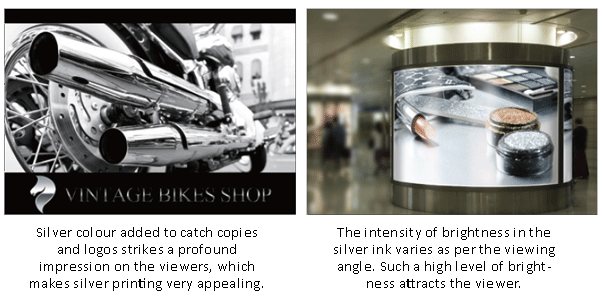 Print heater: Dries ink after it lands on media before it bleeds, improving colour development. Post-heater: Enhances ink drying and achieves stable take-up. Top blower: Air blower supports drying of ink. Reduces banding by dispersing ink drops between passes. Ensures high quality print resolution, by jetting ink drops in straight lines with almost perfect round dots, delivering clear and sharp letters, lines and edges. 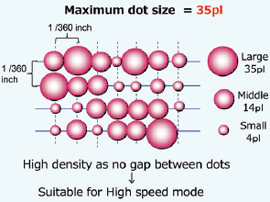 Delivers high density print by removing the gap between dots. Newly developed SS21 silver ink is available. Being 1.67* times brighter than conventional silver inks, SS21 ink adds brilliant and beautiful mirror effects to print results. By using the orange ink as a process colour, 94.8% of the PANTONE colour chart is covered with approximate colours. Thanks to a wider gamut with the orange ink, food freshness can be simulated, and corporate colours can be faithfully represented. The light black ink improves the printed grayscale gradation. It also faithfully represents monochrome data without introducing unexpected colour shifts. Light black ink ensures a more accurate colour representation. The NRS substitutes defective nozzles with non-defective nozzles until the technician arrives. 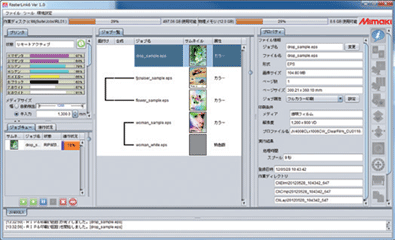 This feature enables uninterrupted print operations and continuous productivity. *1 NRS: Nozzle Recovery System *2 10 nozzles per nozzle row can be registered. 1 NRS: Nozzle Recovery System *2 10 nozzles per nozzle row can be registered. The CJV150 is equipped with Mimaki’s original automatic NCU. 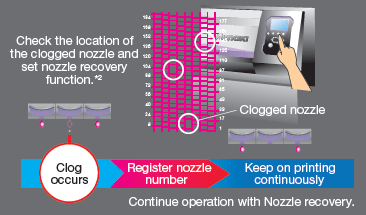 Clogged nozzles are automatically detected and cleaned by the NCU. If the clogging is not resolved by cleaning, the CJV150 automatically sets the nozzle recovery function NRS and resumes printing. These functions significantly reduce the waste printing caused by clogged nozzles during a continuous printing run. 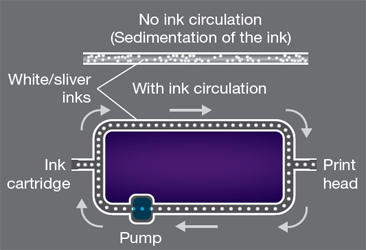 MCT is a standard feature included to effectively avoid the settling of white and silver pigments in the ink lines by regularly circulating the ink. 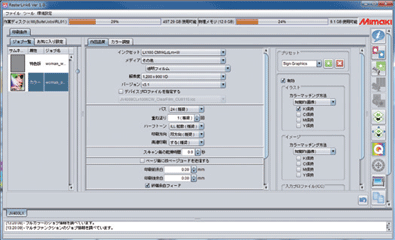 It prevents print troubles and enables stable output from the start of operation. In addition, MCT contributes to reduction of ink waste, thereby supporting environmentally and economically friendly applications. This facility enables easy program updates and profi le downloading to be performed via the internet. The mission of Graphix Supply World is to maintain and grow our position as the African leader and innovator, serving the print, sign, packaging, textile/ apparel and all other graphic related industries. © 2018 Graphix Supply World. All Rights Reserved.